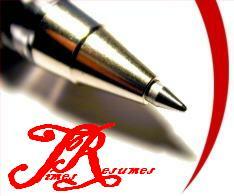 "Times Resumes - Professional Resume Writing Services - Terms of Service"
1. The client is entitled to receive an electronic copy of the Resume/CV/ SOP/Admission Essays (in Microsoft Word format) from www.timesresumes.com. The service does not include any Add-On services, unless specifically subscribed for. Digital products would be deemed to have been delivered, after successful payment, once the client has been granted access to the download links on the downloads page. 2. The client guarantees and certifies that the information provided to timesresumes.com is true and correct. 3. We at timesresumes.com reserve the right to reject working on any Resume/CV/SOP/Admission Essays at any stage of the process, if it is noticed that the terms and conditions have not been complied with. 4. We at timesresumes.com do not offer the client any job guarantee or admission to college/university/Business school. The service only includes receiving a Resume/CV/SOP/Admission Essays and/or receiving/executing Add-On services provided by us. 5. We at timesresumes.com shall make all efforts to provide the draft of the completed/updated Resume/CV/SOP/ Admission Essays within 5 business days (2 business days in case of Express Resume). (Sundays, Bank Holidays and Festivals are not counted as Business days. Delivery time is calculated only after after we have received all additional details form the client). However, timesresumes.com is not responsible for delays caused by reasons beyond our control. 6.The time-frame of 5 business days (2 business days in case of Express Resume service) would start from the date on which the prescribed amount/charges/fees are received and realized by timesresumes.com and all the requested details and also any additional details requested for, are received in full and complete. 7. We will not be responsible for any issues relating to incorrect email addresses, spam settings, or failure to connect to the internet which may result to the late delivery of the completed project. 8. In case of queries raised by timesresumes.com, the client must respond to the queries raised (sent by email) within 48 Hrs of such a query being raised failing which, timesresumes.com shall not be responsible for all delays caused, in deliveries, if any. 9. We shall prepare the Resume/CV/SOP/Admission Essays in the best format possible. If a specific format is required, the client must provide us the copy/sample of the exact format required at the time of placing the order. Similarly the number of words required in the SOP/Admission Essays must be specified while placing the order. Change in Resume/CV format or number of words in the SOP/Admission Essays is not permitted thereafter. However the client is permitted two revisions/corrections/modifications to text in the draft before we deliver the final Resume or SOP/Admission Essays. Insertion of any new/additional information is permitted only once in the draft of the Resume or SOP/Admission Essays (but must not exceed the word limit of the SOP, Essay, Cover Letter or LOR). However, www.timesresumes.com reserves the right to reject any insertion or information/data provided by the client or any changes/modifications in the Resume/CV/SOP/Admission Essays/ Cover letter, without assigning any reason. 10. The service shall be deemed to have been completed once timesresumes.com has sent the download links to the draft of the completed Resume/CV/SOP/Admission Essays, to the client's email address, registered with us, or in case of Add-On services, executed the work as described in the "Order" page and all the connected pages on which the rates and services are described. 11. All revisions/corrections/modifications and new/additional information (mentioned in Section 9 above) is permitted only within 14 days from the delivery of the first draft of any document. A client may request for revision within this period. Once the timeline to request for a revision has elapsed, we shall consider that the client is satisfied with what we have provided and the service shall be deemed to have been completely delivered. 12. The liability, if any, of timesresumes.com is limited to the extent of the amount paid by the client. 13. Any dispute is subject to the sole and exclusive jurisdiction of courts situated in Vadodara. 14. You further agree and undertake that you are accessing the products & services available on this Site and transacting at your sole risk and are using your best and prudent judgment before entering into any transaction through this Site. 15. All orders shall be pre-approved with an acceptable method of payment as available through payment service providers connected with Times Resumes, which may call for and require additional verification or information. 16. Times Resumes follows a strict verification policy to protect your interests and avoid fraudulent transactions on the site. You agree to provide copies of your credit card, statements or related documents to authenticate your transaction if asked for. 17. Any and all orders placed by you directly in person or on this Site are a firm commitment to purchase as per the rates listed and products & services described and you are obligated to complete the transaction and not contest it in anyway. 18. Before placing an order you are advised to check the current rates listed and product/service description carefully. The rates listed in US dollars are higher and are not at par with the rates listed in Indian Rupees. By placing an order for a product you agree to be bound by the rates listed and conditions of sale included in the item's description. 19. By submitting your details in an email or in the form of a query or an order or an incomplete order, you agree to receive offers, promotions, newsletters and updates from Times Resumes in your email/mobile phone, unless asked not to by writing to info@timesresumes.com. You agree, understand and confirm that the credit card details provided by you for availing of services on timesresumes.com will be correct and accurate and you shall not use the credit card which is not lawfully owned by you. You further agree and undertake to provide the correct and valid credit card details to the Payment Gateway used. If your order is cancelled after the payment was made through PayPal, we shall transfer the refunded amount into your PayPal account. If payment is made through Bank Transfer, Cash, or Postal Money Order, the refunded amount shall be sent through through Bank Transfer in the bank account specified by the client. b. In case we receive a cancellation notice from the client and if the order has not yet been processed/ approved by us, we shall cancel the order and refund the amount paid by the client, minus PayPal charges or Money Order/Bank Charges or any other expenses incurred by us. c. In case we receive a cancellation notice from the client after the order has been processed or delivered by us, no refund shall be admissible. All orders are deemed final once they have been processed and/or delivered and therefore will not qualify for refund. d. If after having received the final copy of your Resume/CV and only if we have sent it to be viewed by prospective employers, against the job vacancies advertised related to your profile, but you don't receive any offers for an interview within a period of 30 days, you may send it back to us along with the links to the job vacancies and job description to which you have applied, and our writers will rewrite it completely free of charge - no questions asked. The best written resume is worthless if no one sees it! e. Digital Products: No refund is admissible for digital products purchased from www.timesresumes.com. After successful payment the client shall immediately be granted access to the product down-loads page and can download the purchased product/products by clicking on the links therein. f. Site visitors are advised to use their discretion and proper judgment before purchasing products and services purchased from partner sites linked through www.timesresumes.com. We do not have any control over the partner sites. All differences may be addressed by visitors to the website site to whom payment has been made. All Resumes/CV's/SOP's/Admission Essays/ Cover letters/LOR's/LinkedIn Profile inputs shall be delivered as an attachment in an email in Microsoft Word format to the email ID provided by the client at the time of placing an order. Digital products would be deemed to have been delivered after successful payment once the client has been granted access to the download links on the downloads page. timesresumes.com may at any time modify the terms and conditions of any and/or our services. You can access the latest version of the Terms, which shall be updated regularly at our website. You undertake to regularly view the Terms. In the event that the modified Terms are not acceptable to you, you shall immediately discontinue using the Services. However, if you continue to use the Services, you hereby agree to accept and be bound by the modified Terms. Similarly timesresumes.com may at any time revise the rates/charges of any or all of the Services without any prior notification. You can access the latest rates whenever they are updated at our website. What is a Professional Resume and Why is it very essential?